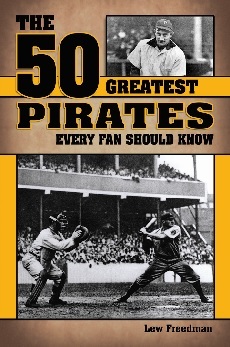 The 50 Greatest Pittsburgh Pirates brings to life the greatest players in the history of the National League franchise, as it recounts many of the greatest moment in team history. From Hall of Famer Bill Mazeroski’s game-winning home run in the seventh game of the 1960 World Series – perhaps the most significant home run hit in baseball history — to no-hitters from John Candelaria, Dock Ellis, and Jesse Tannehill. Relive swingers’ clutch swats from Roberto Clemente, Ralf Kiner, Willie Stargell, and many other memorable moments in Pirate annals, a review of the best players who have worn the Pittsburgh uniform vividly brings forth key accomplishments in more than a century’s worth of club play. 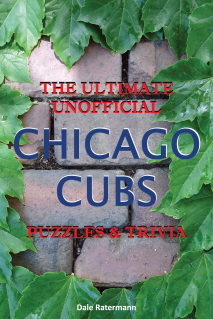 Offered are up-close-and-personal looks at the most famous players in team history, accompanied by facts detailing what they accomplished and what they were thinking when they achieved their greatest moments, capturing batting titles, winning 20 games, or setting team records for the lowest earning run average or the most home runs. The Pittsburgh Pirates have a long and glorious tradition spanning more than 100 years of baseball and the Pirates have been blessed with some of the best players in the game’s history wearing the black and gold uniforms and sporting a P on their cap. Lew Freedman is a veteran sportswriter who is the author of more than 70 books, many on baseball, and has been an avid researcher of baseball history. He has also worked as a sportswriter for the Chicago Tribune, Philadelphia Inquirer, and Anchorage Daily News. He thinks Honus Wagner and Roberto Clemente would make anyone’s dream team. Fifty years went by before The Houston Astros had a Hall of Fame inductee. Then Craig Biggio became their first. Two years later Jeff Bagwell emerged as another inductee. Biggio and Bagwell are arguably the two most influential and memorable players in Astro history. When they showed up in the last 1980s, the team entered its “Golden Age.” Biggio and Bawell were National League All-Stars who own most of the club’s hitting records. They helped lead the team to their first ever, and only, World Series game.